Sometimes people give me vegetable seeds, they have different reasons for doing this, I don't always know why they do it but I do know that I really like it. I particularly like it when I get surprise seeds from some dedicated seed saver. 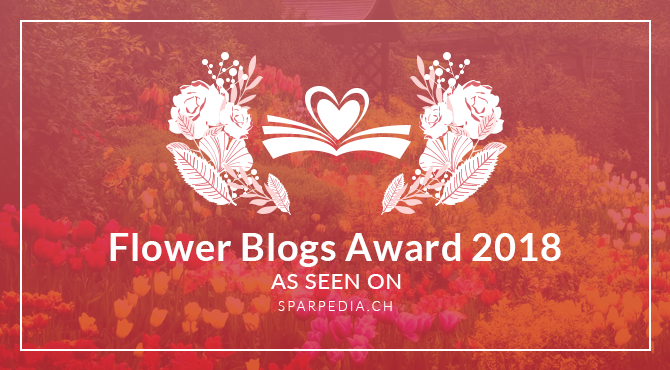 Unfortunately I can not always grow every seed that I am given (although I certainly try my best) and sometimes I have to wait until the correct season to grow them, but only the best are kept from year to year. 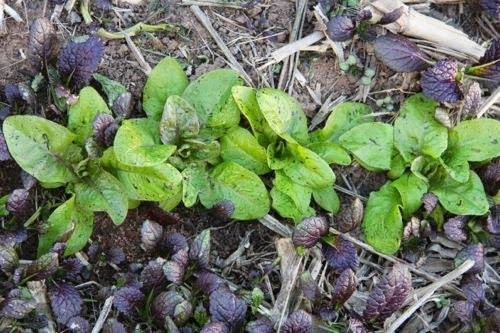 One type of seed that I have recently been given is from an old heirloom variety of lettuce. I have never been overly fond of lettuce as it tends to be fussy and goes bitter at the drop of a hat. Lettuce also tends to want to die, if there is anything around that eats plants the lettuce somehow calls it over for a munch. The varieties I have grown in the past have required large amounts of water and weeding to deliver less than inspiring yields. For these reasons I normally would not grow lettuce, but for some unknown reason I gave this one I go. This variety is called "Freckles", it is an apple green variety with leaves that are uniquely speckled and splashed with deep red. The pictures I took do not do it justice, the red is a lot darker in real life and the green more vibrant. This plant has red blotches on top of the leaf as well as under the leaf. Interestingly the blotches do not go the whole way through the leaf, the pattern on top of the leaf does not match the pattern under the leaf. 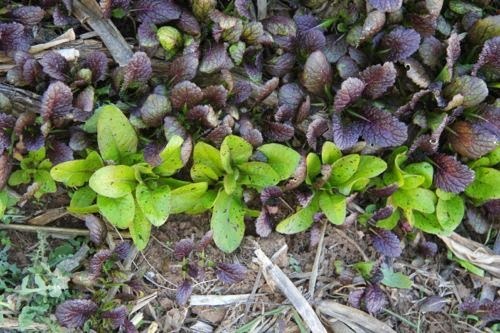 Freckles lettuce is a survivor! 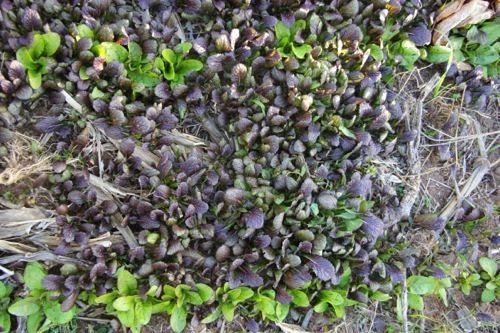 It is mostly used as a loose leaf variety of lettuce. I believe this variety can be cooked and used as a substitute for spinach but am yet to try that myself. 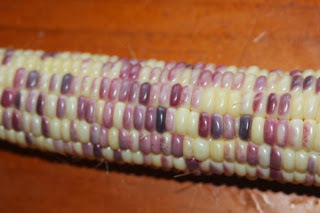 I like learning the history of the vegetables I grow, this one seems to have an interesting past. From what I can gather it was originally a Dutch variety which was carried from the Netherlands to Canada by a Mennonite immigrant (named Urias Martin) in 1799. Prior to that its history seems to have been lost. I have also been told it was one of the lettuce varieties carried to Australia on the first fleet but unfortunately have not been able to confirm the accuracy of that claim. I grow this lettuce mostly in the cooler weather, it does not appear to be bothered by frost. 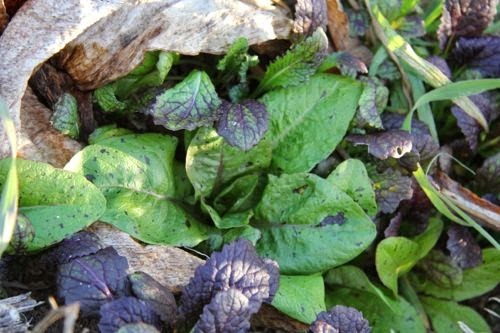 I grew it in a bed where I thought it would have the best chance, unfortunately it is also a bed that had mustard plants flower and drop seed so the lettuce has to grow in amongst countless purple mustard volunteers. Even with this high level of competition the lettuce performs rather well. Being reasonably dry and hot I expected the lettuce to bolt to seed and go bitter, yet it seems to hold on ok and has not yet gone bitter. Being so dry it is not growing as fast as it probably could, but it is still growing reasonably fast. I would be interested to grow this using aquaponics and see how it can perform given ideal conditions. Being a leaf variety rather than a head variety of lettuce means that we cut leaves as we need them and the plants keep on growing. 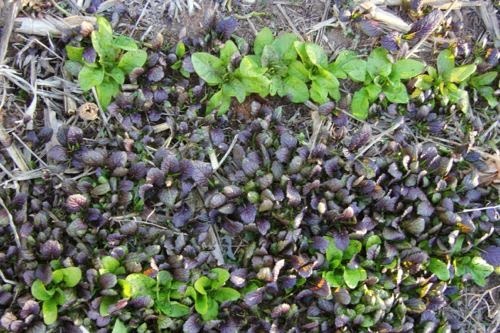 Any small or weak plants are removed so that only the stronger and better plants will eventually set seed. Any plant that bolts to seed first is also removed so that slower bolting plants are the result. Every time you save seeds you are adding selective pressure, I try to be conscious in selecting for traits that I find desirable so I end up with constantly improving stock. One must keep in mind that this is a lettuce, so the taste will not blow your socks off. I don't believe that any lettuce is truly remarkable as far as taste goes. In my opinion lettuce is something you have with food, although it is certainly not bad for you it is not a food by itself. Freckles lettuce tastes ok, it is not bitter or anything like that unless it is really a long way through flowering. I guess I would describe the taste as pleasant and mild. I have eaten many different home grown lettuces over the years and I would have to say that this one is my favourite. I certainly plan to grow this variety every year as long as I have space. 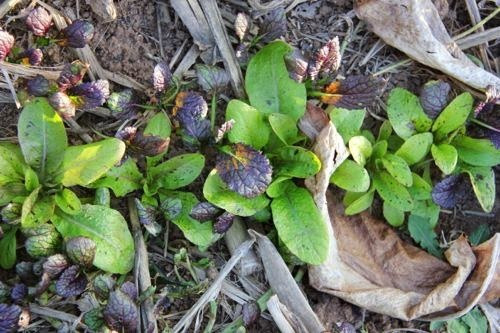 I will eventually try to sell seeds of Freckles lettuce, when I do they will be listed on my for sale page along with various other heirloom vegetables and perennial vegetables that I grow. If I do not have it listed and you desperately want some seed let me know as I may have a little seed to spare. Freckles is a great lettuce, I grew it a few years ago. Green Harvest used to sell the seeds, I don't know if they still do though. Hi Melinda, I agree that Freckles is a great lettuce. I think I have seen a few places that sell it which is a great thing. I would hate for this one to ever disappear. Hi Damien. Found your blog. Freckles may be the same as Forellenschluss, speckled trout back. 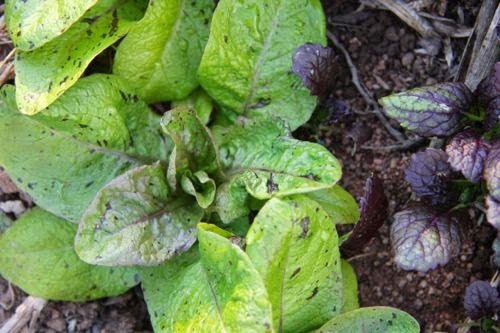 I'm growing a whole heap of speckled lettuces, from Frank Morton's breeders mixes. Can send you some seed if you like. My go-to lettuce is royal oakleaf, another looseleaf type that I got from Diggers years ago. I'm re-selecting this for slow bolting - I usually just let it go to seed in the garden, so have probably been non-selecting for flowering. It's a great lettuce, so hardy, hardly ever bitter, and tough as nails. I've started a seed business - Useful Seeds - but still getting my website together. Happy to share stuff, tho.